Lean on Me is based upon a stack of rocks I found along the North Shore of Lake Superior. Carins are rocks stacked on top of each other. For Native Americans, Cairns were used to help mark a trail, but today building and leaving cairns has become an art form. 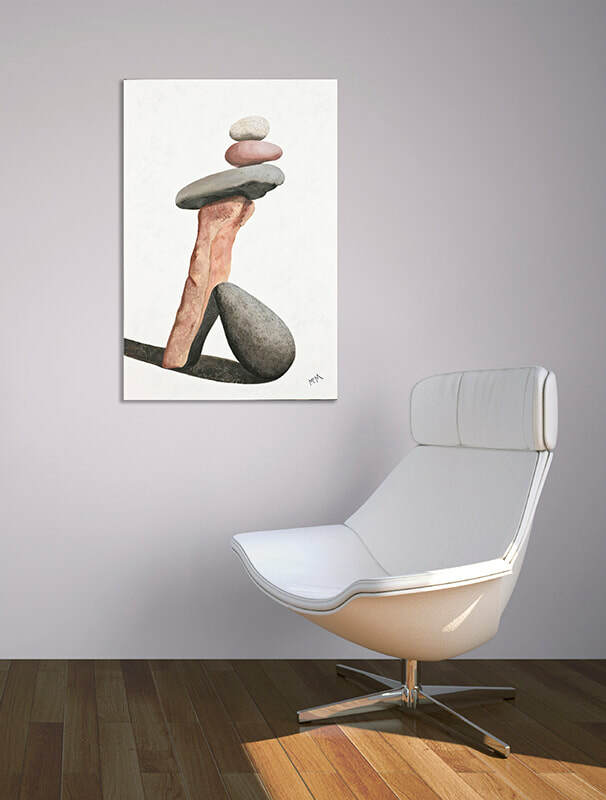 The artist stack rocks for others to see. The challenge is often to see how high or unique you can make your cairn. 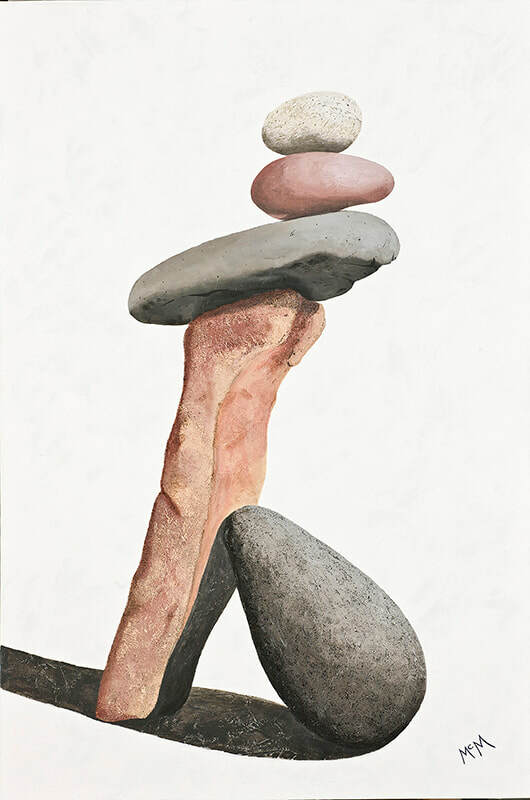 After seeing many beautiful cairns stacked along the Minnesota North Shore I wanted to make a series of paintings of these remarkable stacks. You might say I’m inspired by the art of others.